Posted on June 25, 2014 . 1 comment. Finally my second Japan trip reached the last day which I went to Nogizaka46 individual handshake event at Makuhari Messe. PS. Since taking photos of girls is prohibit. I use the photo from their official blog instead. 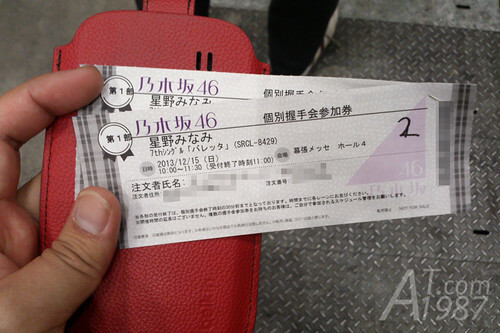 Nogizaka46 individual handshake is the same as the one of 48 Family. You have to purchase the regular version of single CD with ticket of the girl, round and date you wanted from the website. In case of Nogizaka46 they are sold through SMEJ’s forTUNE music. The tickets are sold by lottery. You have 4 chances to buy for each scheduled dates. However if there will be the extra chance near the event date if the tickets are still available. If you win, you have to pay for the CDs with tickets within 2- 3 days after winning. They will be delivered on that single released date. What left to do is finding the way to bring them to you because forTUNE music delivers items to the address in Japan only. Although it doesn’t forbid people in foreign countries to buy items from it. To go to Makuhari Messe. 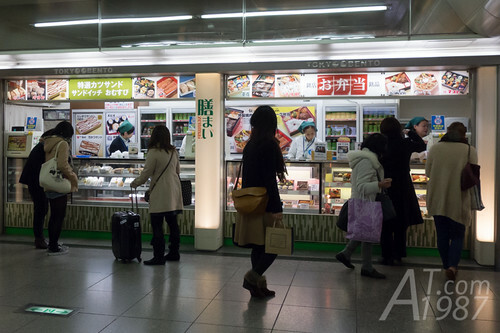 You can take JR Keiyo Line which is the one that bring you to Tokyo Disney Resort. However it’s more far than TDS. 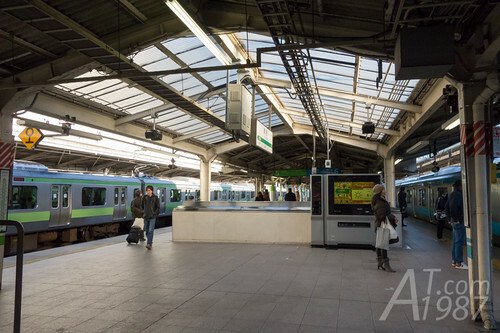 In my case I can take the train at Hatchobori station from my hotel using Tokyo Metro Hibiya Line. But I had already checked out from hotel with my luggage so I went to Tokyo station to keep it in the locker instead. 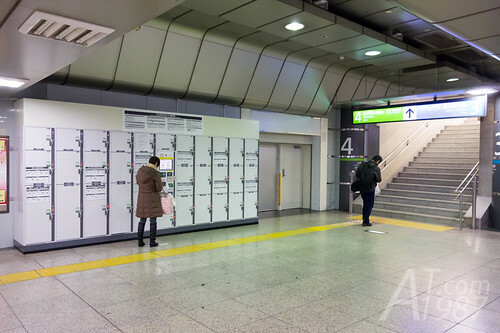 Also deposit the luggage here helps me to go to Haneda International Airport easier. I bought my breakfast at Zenmai where bento from several brands are sold here. Although I want to try Katsu-sando. 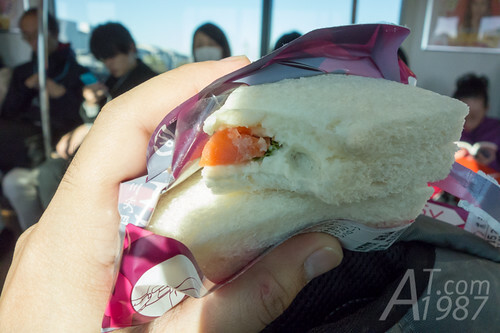 I picked Taimeiken Salmon Potato Sandwich instead. I saw someone eating on train so I ate mine too. 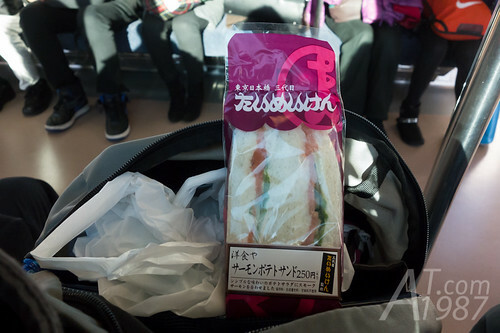 The sandwich is OK but I hope more salmon meat inside it. I did some research about Taimeiken when I wrote this post. It seems that it is famous for western food like Rengatei. I noted this so next time I may visit it. Reached Kaihimmakuhari Station. 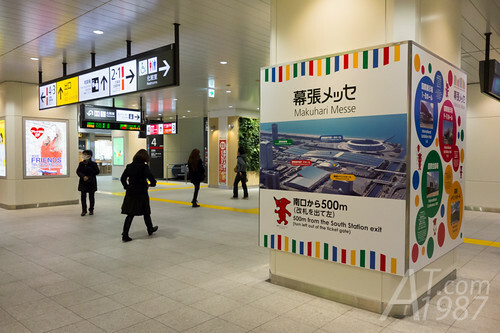 I had to walk for about 500m to Makuhari Messe. 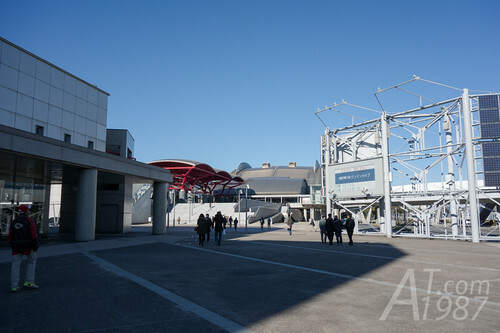 Makuhari Messe’s in front of my sight. The event was organized in Hall 4. Many people had already in the hall. 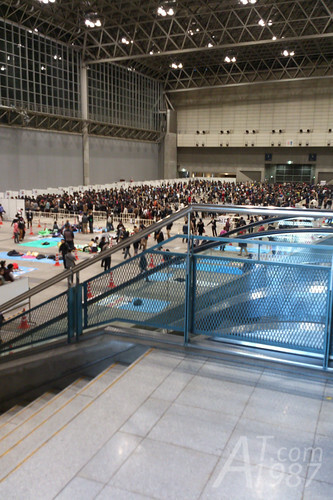 The event also began late than National Handshake Event because visitors are limited by the sold tickets. 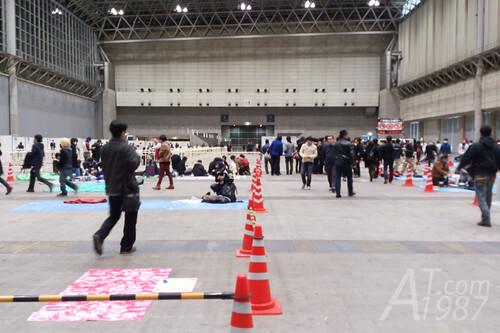 Some people were in the queue in front of handshake zone. Some were in the queue for official good. However there are groups of fans who decorated the waiting queue inside handshake zone for surprising members who birthed around that week. 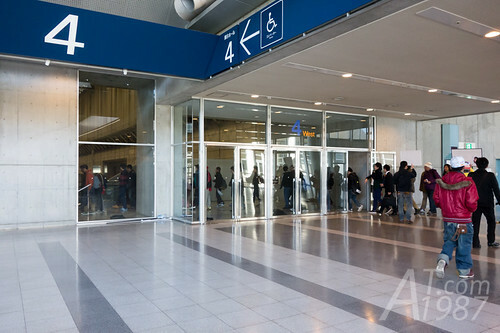 The members who attended the event will be listed on the board in front of handshake zone. 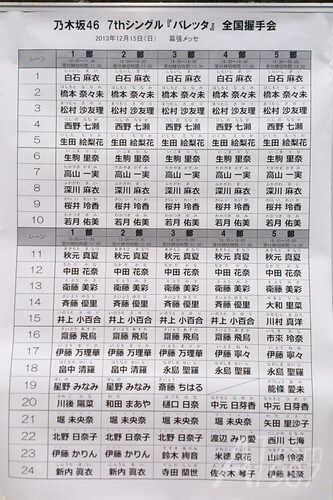 Some members didn’t stay in every rounds of the event such as Hoshimina who stayed only in round 1 and 2. Round 1 began. To enter the handshake zone. 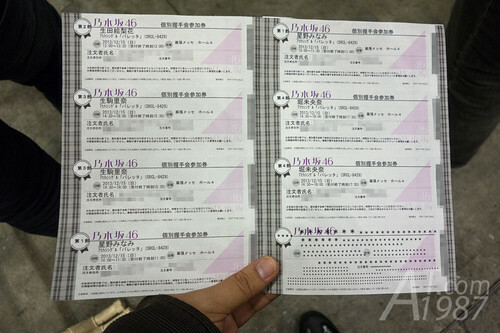 The ticket with the same round must be shown to staffs. When enter the zone. I went to Hoshimina lane and give ticket and passport to the staff in front of the lane. Then I told her “Kaigai kara Kimashita ga, Nihon de no Juusho wa Nai desu” that means I came from foreign county and I don’t have address here. The staff just told me “Please tear the ticket from the sheet.” She saw me confused then said “Do you want to use 1 or 2 ticket this time ?” I gave her 1 ticket before gave the second one to her. She wrote the number on the right side for staff inside can check the duration easier. Although it’s quite confuse for me. I passed the hardest part of the event. The duration of ticket is 10 seconds like 48 Family. Thanks for sharing your experience with the detailed pictures.